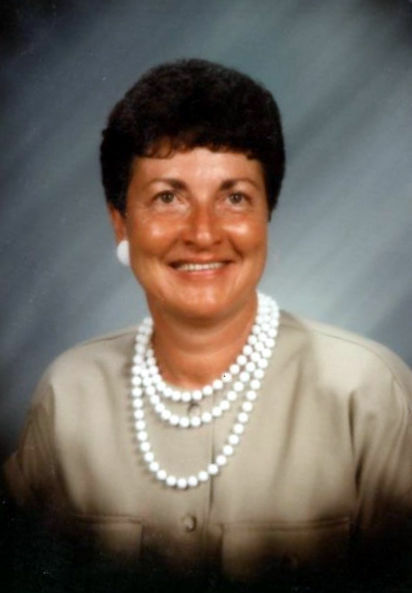 Sandra "Sandy" K. Baskin, 76, of Murphysboro, passed away at her residence in Murphysboro on Sunday, October 28, 2018. Sandra was born on August 16, 1942, in Murphysboro, to Odell Dewey Cook and Catherine (Rose) Sullivan. She was a graduate of Murphysboro High School Class of 1960. She looked forward to the class reunions and keeping in touch with her classmates in between reunions. In 1973, she started working for CIPS and continued working at Ameren and retired with thirty plus years. In 1980, she was one of the first females in the southern district to be appointed as a meter reader. She loved being a meter reader. She was a member of the I.B.E.W. Local # 702 in West Frankfort. She was a member of the V.F.W. Post # 7190 Ladies Auxiliary in Murphysboro. She was also a member of the Carbon Lake Club in Murphysboro. Sandy was an avid customer and friend of Cindy B's Restaurant in Murphysboro. Mrs. Baskin was a member of the Berean Christian Church in Murphysboro and loved her church family. She loved the Lord and was a prayer warrior for her family. one step sister Charlene Sullivan of Energy; and many cousins. Funeral services will be held at 1 p.m. Sunday, November 4, 2018, at Pettett Funeral Home with Troy Humphrey officiating and burial at Pleasant Grove Memorial Park. Visitation will be from 5 to 8 p.m. Saturday and Sunday until 1 p.m. at the funeral home. The family would prefer memorials to the Berean Christian Church or to the Food Pantry. For more information, please visit www.pettettfuneralhome.com.